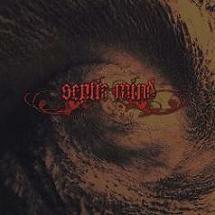 Septic Mind mix ambient and esoteric Funeral Doom not dissimilar to... Esoteric! In recent memory I have found few things that have moved me more than certain pieces of music. As sad as that may come across in some regards, I am generally alright with the notion. With that having been said, the first track on Septic Mind's monstrous sophomore album (which is as well the title track to that three-track effort) definitely stirred about something deep down in the depths of my inner sanctum. The feelings of hopelessness, isolation, dread, sorrow and an odd combination of claustrophobia and the feeling I could imagine you get when standing in the midst of infinity are all here. A fairly normal set of human beings composed this music? I refuse to believe it! I suppose I should stop playing wordgames and just talk about the album a little more in-depth though, huh? As I've previously indicated, I absolutely love the title track of this album. As well, it seems to almost be divided in different chapters as the track goes forward (in its defense, it is almost 21 minutes in length), as has been seen throughout time in different songs from all sorts of different genres. The beginning unfolds as a very Dolorian-esque atmospheric Funeral Doom piece, with a beautiful combination of down-tuned distortion-driven rhythm parts and heavily reverbed (with hints of a phaser or a flanger and a good amount of echo) lead sections. From here, around the 6 minute mark, the music hits a significant dark place when the lead guitar disappears and the rhythm guitar sets the pace with slow and heavy low-tuned chugs and power chord arrangements. The low and heavy rhythm remains, while some clean reverbed lead parts come in to speed up the pace a small amount... that is until the guitars and drums seem to disappear completely and otherwordly dark ambient soundscapes begin to take over as, slowly but surely, the lead guitar, still with its heavily reverbed and highly effected tone, finds its way quietly back into the mix and takes us further and further into this band's bleak realm that they are painting into our minds. The track finds its finale in an eruption of distortion, with the lead guitar and synthesizer keywork closing out easily the highest tempo speed of the track, lead by a continuous double bass assault and intricate fillwork from the drummer. The second track, 'The Misleading', is quite different than the first on most levels. The first five and a half minutes are a series of insane samples, synthwork, computer blips and background noise until a thick, clean, reverbed guitar tone sweeps into the mix and takes over with a repetitious riff that wouldn't be out of place on an Electric Wizard or Black Sabbath track. I know that sounds weird coming from the same band who recorded the above track (which found itself slathered in Funeral Doom and otherworldly chaos), but it's the same group of musicians (although I am pretty sure at this point that they're from another dimension or that they are at least aliens living amongst us). By the way, I don't mean any sort of bad intentions when I call the riff repetitious... it sounds fantastic and it has gotten stuck in my head every time I've listened to the track and I'm yet to complain about that. Around the 7 minute mark, a chorus-laden lead guitar part pans its way around the continued rhythm riff until it drops off around the 10 minute mark and you find yourself face to face with a very sci-fi oriented assault of samples, soundscapes and ambient synthwork. 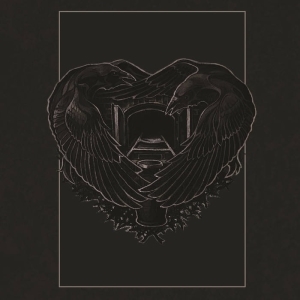 The song takes a completely 180 degree turn around the 12 and a half minute mark, when it slowly twists itself into a very Comatose Vigil-sounding (once again, not a bad thing) Funeral Doom scenario, spilling over with feelings of despair and hopelessness. It's also worthy to note that this section of the song is the only one with any sort of vocals. 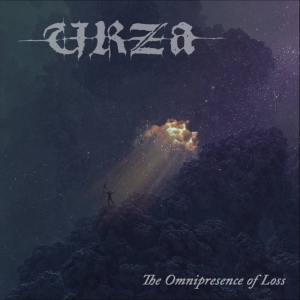 The final track, 'The Ones Who Left This World', starts with an amazing combination of more sci-fi oriented synth work and low-tuned distorted guitar rhythms, with a high frequency guitar lead partially buried in the mix underneath the waves of the other sounds going on around it. This track is probably my least favorite of the three, but only because of its last third. The track continues on from the initial structure and slowly, but surely, builds momentum and almost reaches moments of complete musical chaos amongst noise and fast paced drumwork in certain sections. And then, around the 16 minute mark, the song drifts into a 6 minute long section of repetitive synth loops panning back and forth and heavy breathing. I feel that if this was shorter (and yes, I understand this being Doom Metal and tracks being really dragged out in sections, but still...) I could be alright with it, but it becomes more of a nuisance than anything and you are stuck waiting for the end to arrive in an impatient manner. The last few minutes add the sound of background cries and a pounding heartbeat, which don't help much. The track finally ends in a blaze of noise and all previous samples reaching the volume peak and then the disc ends. I am incredibly tempted to just cut that end off in one of my sound editors so I don't ever have to hear it again, as I will be listening to the album from this point forward and I would prefer not to relive the annoyance that was the drawn out end of that track. However, aside from that short discrepancy, this album was definately a great release to come across and definitely one of the best things I heard released in 2010. 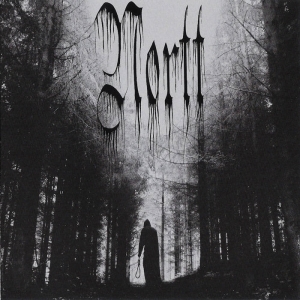 If you find enjoyment in the Funeral Doom realm or just like dark, bleak music with a lot of ambience and slowed pace, I would advise you against looking past this album or this band. Or if you know someone who just listens to stuff like the Dave Matthews Band, tie them to a chair and make them sit through this at full blast. I'm sure that it will be an enjoyable experience for all. But, as far as my thoughts go, I will definitely be looking forward to Septic Mind's next musical output... whenever that may be.